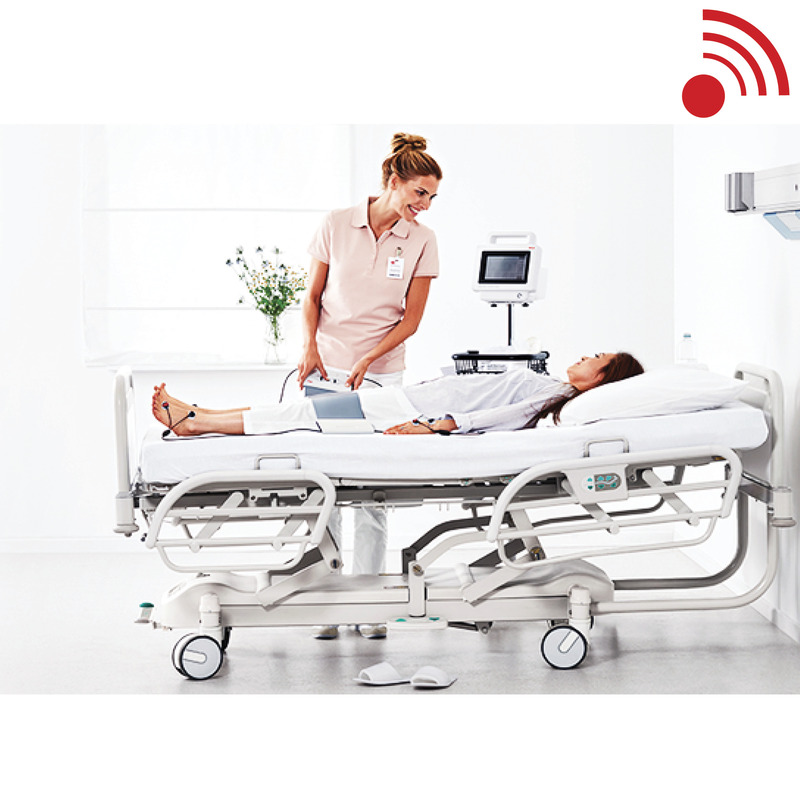 seca 525 mBCA: Expertly developed for lying down/bedridden patients, especially patients in ICU and dialysis. 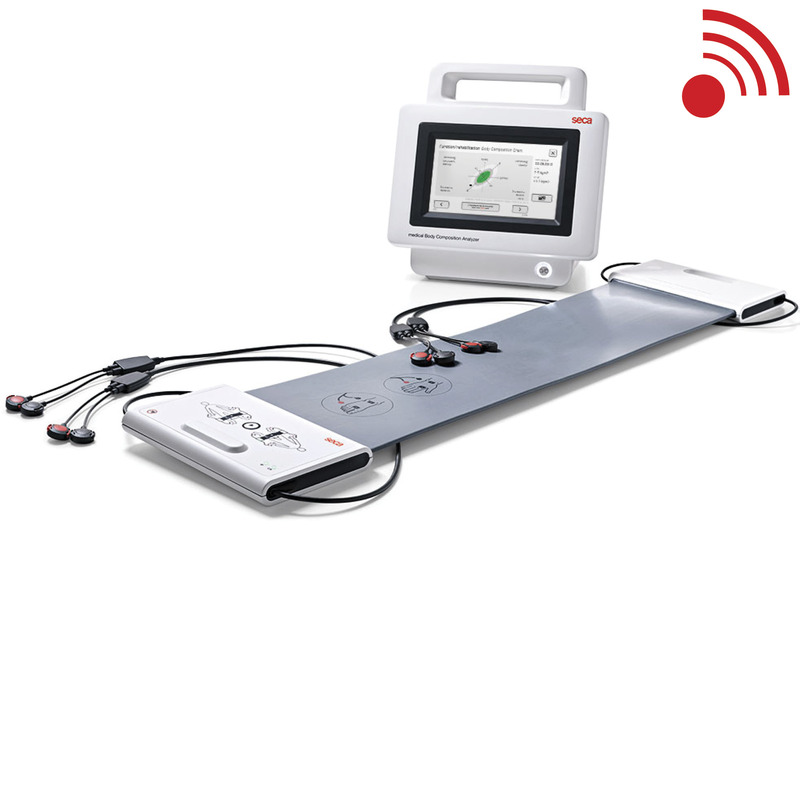 The entire development had one goal: to make mobile bioimpedance measurement as efficient as possible by offering a low weight, precise measurement technology and easy handling. 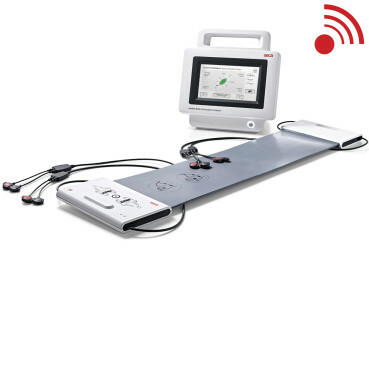 The unique measuring mat measures all of the required parameters such as fat mass, muscle mass and body water in a fully self-sufficient way. The mat is also automatically linked to the touchscreen monitor by Wi-Fi. 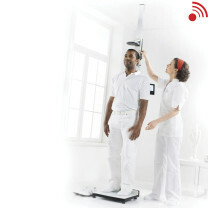 The large memory of the monitor has sufficient capacity for over 100,000 measurements. 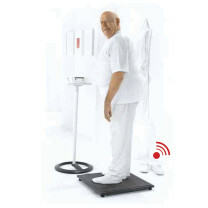 This enables a large number of patients and courses of therapy to be reliably documented for years. 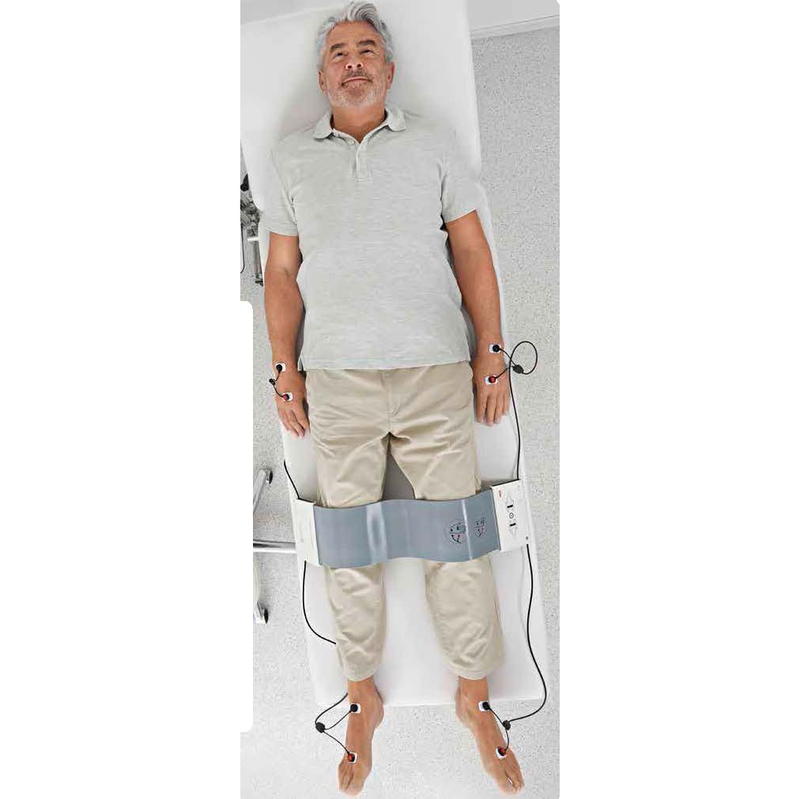 Futhermore, measurements can be reliably carried out regardless of location in hospitals or in private practices providing that the patient is lying down for 15 minutes prior to testing. 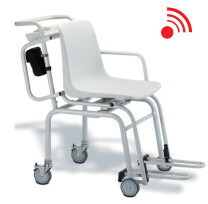 Its light-weight design, practical handle and optional mobile stand with a basket for patient files and accessories.